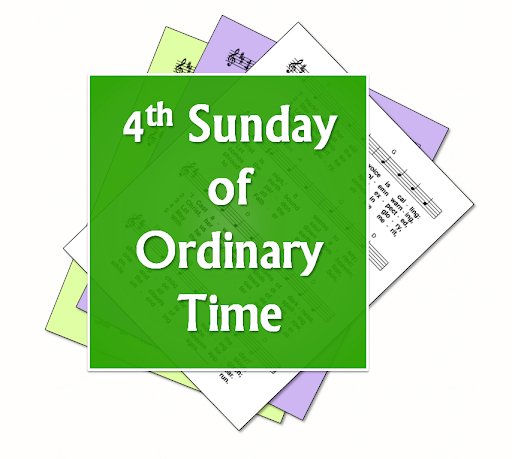 A selection of hymns and songs, based on themes from the Roman Catholic lectionary for the fourth Sunday of Ordinary Time, Year B. Most are free-to-use (ie public domain or copyright-free) meaning the words can be copied and sung to at least one tune with no concerns about copyright or performance licensing. 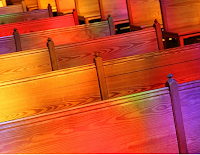 Many such hymns are old/traditional - but where possible a variety of styles / genres are included. A small selection of hymns which are still copyright, but are a particularly good fit for the day's readings, are also included. This day sometimes coincides with 1 February which is the feast of S Brigid of Kildare, or 2 February, the Feast of the Presentation of the Lord. First: Deuteronomy 18:15-20 - Moses tells the people that the Lord has promised to raise up a prophet from among them, who will have God's word put into his mouth. Psalm: 94 - O that today you would listen to his voice, harden not your hearts / Come, ring out our joy to the Lord / Come in, let us kneel and bend low. Second: I Corinthians 7:32-35 - Paul compares the responsibilities of married vs unmarried men and women - to help the people decide how to live. Gospel: Mark 1:21-28 - Jesus teaches with authority in the Synagogue: a man possessed by an unclean spirit challenges him, and Jesus orders the spirit to leave the man. Jesus as a healer and teacher - speaking God's word. Authority. Other suggestions are welcome - please leave a comment below.